Product prices and availability are accurate as of 2019-04-23 19:30:48 UTC and are subject to change. Any price and availability information displayed on http://www.amazon.com/ at the time of purchase will apply to the purchase of this product. This shirt features breathable fabric and a modern tailored fit that will keep you comfortable in any conditions. Designed & engineered by the INTO THE AM team in California. This one goes out to the visionaries, the originators, the crowd creators. Your passion can start a movement, so crank your jams and blast your vibe to the universe with this premium graphic tee collection. 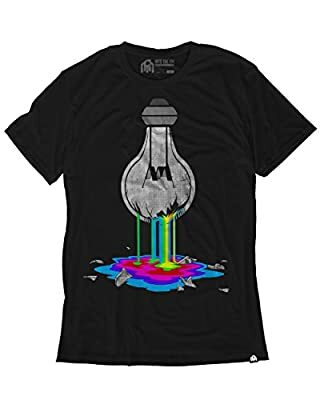 HIGH-DEFINITION GRAPHIC: This lightweight t-shirt features a vibrant graphic print on a super soft black construction with a tagless back for extra comfort. PERFECT FOR: concerts, summer, gym, music festivals, parties, casual wear, the beach, rave wear, or wherever your galactic adventures may take you. FIND YOUR BEST FIT: Refer to our size chart in the product photo. 100% SATISFACTION GUARANTEE: If you're not happy with your purchase contact us so we can fix it. When passion meets inspiration, you can create anything. Feel the electricity with this premium graphic tee! The shirt is tailored with 100% ultra-soft cotton and its vibrant print uses the highest quality inks available. If you're tired of shirts that fall apart after the first wash, this is the graphic tee for you. The fabric is pre-shrunk and the print is designed to resist fading and cracking for years to come. 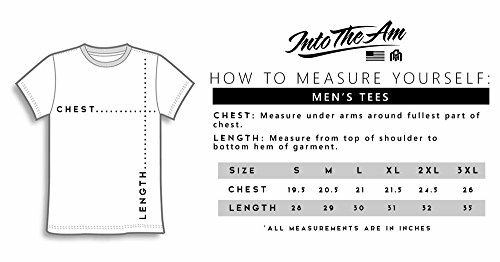 FIND YOUR BEST FIT: Refer to our size chart in the product photo. 100% SATISFACTION GUARANTEE: If you're not happy with your purchase, contact us so we can fix it. HIGH-DEFINITION GRAPHIC: This lightweight t-shirt features a vibrant graphic print on a super soft black construction with a tagless back for extra comfort. PERFECT FOR: summer, gym, music festivals, concerts, parties, casual wear, the beach, rave wear, or wherever your adventures may take you. Exclusively designed & engineered by the INTO THE AM team in California. Our mission with every product is to transform an artistic vision into premium graphic apparel by starting with the best materials and refining our fabric & fit to deliver a level of quality you can't find anywhere else.